At Orthopaedic & Sports Medicine Center Of Miami PA, our goal is provide the right care to patients throughout South Miami, Florida. Our staff of physicians and physicians assistants is committed to performing personalized for those suffering from a sports injury or related condition. For more than 25 years, Dr. Daniel G. Kalbac has treated orthopaedic and sports related injuries. 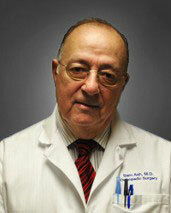 His peers voted him as one of South Florida’s top physicians. Outside of the office, he serves as a team physician for the United States Men’s Soccer Team. Dr. Kalbac specializes in techniques and procedures for injuries, accidents, aches, and other pains related to knees, shoulders, elbows, and ankles. Contact him today to set up your first visit with him. As a native of South Florida, Dr. Daniel G. Kalbac obtained his undergraduate degree at the University of Miami in 1981, then continued his education and graduated from the University of Miami, Miller School of Medicine in 1986. He completed his orthopaedic surgery residency at the University of Southern California, Los Angeles County Medical Center. He completed both a Sports Medicine Fellowship at Santa Monica Orthopaedic Hospital with Dr. Bert Madelbaum and a fellowship in fractures of the acetabulum and pelvis with Dr. Joel Matta at Good Samaritan Hospital, Los Angeles, California. Dr. Kalbac has been in private practice for more than 20 years and specializes in sports-related injuries and arthroscopic surgery. 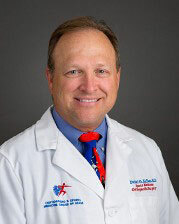 He is currently the senior physician for the United States Men’s National Soccer Team and has worked with WWE (World Wrestling Entertainment, Inc.), Women’s Professional Beach Volleyball Association, Lipton International/ NASDAQ Tennis Tournament, Doral-Ryder Open Golf Tournament, and many athletic programs of various schools. In addition to athletic involvement, Dr. Kalbac has also been involved with Project Peru, acting as team leader for an orthopaedic medical team to Coya, Peru. He is board certified in (orthopaedic services) and is a diplomat of the American Academy of Orthopaedic Surgeons since 1994. He is currently a member in the Arthroscopy Association of North America, the American Orthopaedic Society for Sports Medicine, the American Board of Orthopaedic Surgery, and the American Orthopaedic Foot and Ankle Society. He is also the founder and director of the Miami International Sports Medicine Symposium, and he is a clinical associate professor FIU School of Medicine. A graduate of the American University of Beirut School of Medicine in 1971, Dr. Sam Ash has been practicing Orthopaedic medicine for more than 40 years. Specializing in non-operative orthopaedics, Dr. Ash has the expertise to treat injuries involving the Neck, Back, Ankles, Legs, and Feet. A Board Certified Physician who completed his residency at Jackson Memorial Hospital in Miami, Dr. Ash also served as the assistant professor of Orthopaedics at the University of Miami until 1988. Behind every great team is a staff of assistants. Our physicians’ assistants are here to make your experience with us a great one. A 2002 graduate of Miami Dade College, Dennis Ramos, PA-C practices orthopaedic care under the supervision of the OSMC physician team. He is a licensed healthcare professional who practices medicine as part of our PA/physician team. Dennis Ramos, PA-C sees patients in the office, assists in surgeries, and serves patients in the scope of our office. Marco Rocha, PA-C practices orthopaedic care under the supervision of our team. 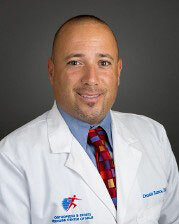 He is a licensed health care professional who is a graduate of Barry University. 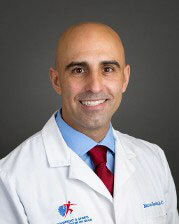 Marco Rocha, PA-C has a Masters in Clinical Medical Services and practices medicine within the scope of our practice. As a member of our PA/physician team, he sees patients in the office, assists in surgery, and provides services to patients. Contact us to meet with our board-certified physicians and licensed physicians assistants for your care. We offer orthopaedic and sports medicine services for patients throughout South Florida.